The Repetto scent comes exquisitely packaged in a powder pink box with a satin pink ribbon. The box has a sleeve as well, which is printed with a beautiful image of a ballerina sitting at her vanity table. The perfume is housed in a carved glass bottle. The glass is tinted in a translucent tea color and there is a piece of ribbon tied around the neck of the bottle. The ribbon is the identical one used on Repetto ballet shoes. Additionally, a small pendant bearing the Repetto logo hangs from the ribbon. 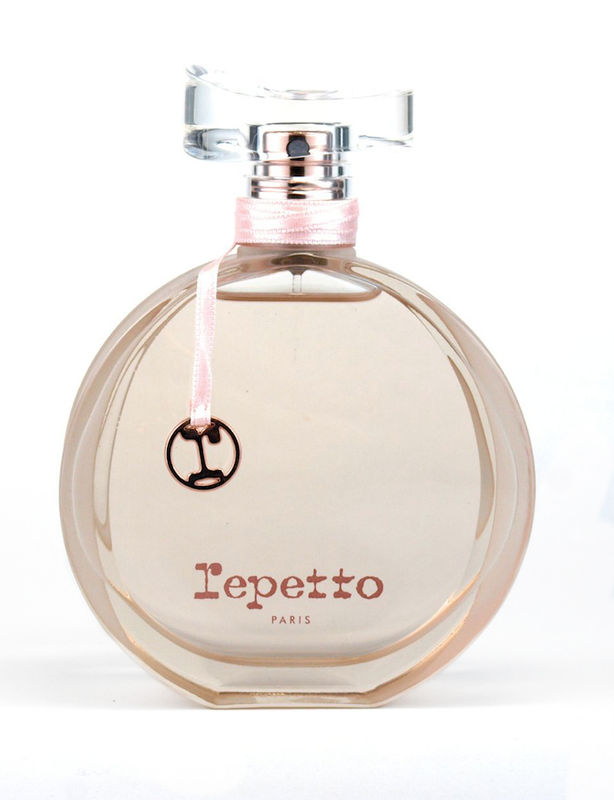 Surprisingly fruity and playful, Repetto perfume's pear note is very prominent. The other note that I also immediately detected is the vanilla, which mixes with the pear to create a very delicious concoction. This scent smells very similar to Benefit's All Over Me Scented Body Mist, although the two have a completely different scent profile. It has the same powdery sweet yet refreshing fruity scent. The rose water and cherry blossom are present but they only become salient after the pear wears off, which is about half an hour or so. Overall, this is a beautiful scent that I would definitely gravitate towards at the perfume counter. It's fresh, fruity, and feminine, definitely a spring and summer scent. The Repetto Eau de Toilette is available online and in stores exclusively at Sephora.